Hi friends! It was about two years ago when I first opened up and talked about my infertility journey on our blog. I shared that my husband and I were going to take the steps towards moving forward with trying our first in vitro fertilization cycle (IVF). We were trying to save up money and it was our goal to start the cycle in the fall of 2016. Well, God had other plans in mind, because two months later we found out that we were pregnant with Cal! This was the first time we had ever gotten pregnant on our own, without any fertility meds/treatments. You can read more about my semi complicated/stressful pregnancy here. Fast forward to January 2017 when we got to meet our miracle boy! Cal has been SUCH a blessing in our lives. He's everything we could have ever dreamed of for a baby (but not, at the same time, if that makes sense - this is a perfect analogy that makes me tear up every time I read it and explains what I mean perfectly). Cal has a special light about him that even strangers comment on. He is the SWEETEST boy. He hardly ever whines or cries, laughs all the time, learns new things every day, loves people, and is super social. He's been sleeping 10-12 hours a night since he was about 5 months old, and is honestly just a dream baby. As grateful as we are that Cal was born and is doing SO well, we know he has a long road ahead when it comes to his mental, physical and cognitive learning abilities. He is so smart, and has made so much progress, and we will never put ANY limitations on him, but it's just a reality that things DO come much harder and slower for him than any other "normal" baby. Something as simple as going from the sitting position to leaning on one hand and on to all fours take a LOT of effort for Cal (as well as some assistance from us), and you can hear in his heavy breathing and grunting how difficult it is for him. My point it is, we know his life is not going to be a walk in the park, and that we, as his parents will probably never be out of the woods when it comes to Cal's medical and physical needs. We don't want to put another baby through what Cal has and will go through in this life, and to be honest, I don't want to put my body through any more miscarriages. Cal is literally a miracle, and was born, even though I was only given a 3% chance that I would carry him to term. Prior to him, I had 3 miscarriages due to the babies having the same chromosomal abnormalities he has. So we decided to move forward with our first IVF cycle right after Cal's first birthday. We did the egg retrieval, fertilization, and genetic testing of the embryos, and I want to share my experience for anyone interested, or going through something similar. I am only 26 years old, and I wanted to do my egg retrieval while I was still super young and had a high egg reserve and (hopefully) good quality eggs. For 10 days I gave myself shots morning and night to stimulate my ovaries, and prevent ovulation. I was super nervous about the shots. It took me about 20 minutes to give myself the first one, but after that I realized it wasn't too bad (although I hear frozen transfer shots are way worse - not looking forward to those!). I have heard so many stories about other people who did IVF with PGD (genetic testing) for the same reason I did and not being able to get ANY healthy embryos. We were spending so much money to do all of this, and I didn't know if we'd be able to do it again if it didn't work the first time, so I wanted to do anything and everything I could to help it be a success. My doctor sent me over his "Super Supplements List" and said he recommends his patients taking them all a month before starting IVF. I started taking them all 2 months before, haha. I've heard conflicting opinions on whether or not taking supplements makes a difference during IVF, but I didn't care. It helped me to feel like I was doing everything possible to help get us our healthy embryos. The supplements below are three that I really liked, and ordered through Fairhaven Health. The first is one my husband took. No shots and only one supplement for him...guys have it SO easy. One thing I had heard about IVF that definitely proved to be true is that it makes you super bloated. The two pictures below were taken the morning of my egg retrieval. My stomach looked and felt the same as it did when I was about 15 weeks pregnant, and it only got worse the following days after the retrieval! I had my egg retrieval surgery on January 17th. The recovery was much worse than I expected. I was super crampy and had to walk hunched over for about 3 days. I didn't feel totally back to myself until about a week and a half after the surgery. The eggs were fertilized the day of the retrieval, and we got updates on how our little embryos were doing on days 1, 3, 5, and 6 after the retrieval. I had 30 eggs retrieved!!! We were so happy. 25 of them were mature, and 22 fertilized. On day 3, 17 of them were still looking good, and 11 made it to day 5 and 6, which is when they are able to take little biopsies to send to the lab, and freeze all of the embryos that made it to that point. Of the 11 that were sent for genetic testing, 4 came back healthy/normal. So now we have 4 little frozen embryos waiting to be transferred until we're ready! Modern medicine and technology is truly amazing. We feel so blessed to live in a time where this is all possible, and we are excited to grow our family and give Cal some siblings! He is going to make the best big brother! As for right now, we are going to enjoy Cal being an only child until we are ready to try for number two. I'd be more than happy to answer any questions for anyone going through something similar. Feel free to comment below, or email me! Today I finished my first half marathon AND my first half of pregnancy! Yes friends, I've got a little baby BOY on the way! My husband, Daniel, and I were overwhelmed with feelings of excitement, joy, shock, and gratitude when we found out I was pregnant this past May. Those of you who have been following Salty Blondes since the beginning of the year know about mine and my husband's struggle with infertility and miscarriage over the last 3 years. If you're new, you can read our story HERE. This is my fourth pregnancy, and I'm currently 20 weeks along (halfway! and almost twice as far as I've ever made it). As you may have read on my last post, our plan was to try IVF this fall. After suffering three miscarriages, then finally figuring out what the problem was, we found out doing IVF would be our best change at carrying a healthy baby to term. When I found out I was pregnant, I was of course excited, but worried because of my history. We really tried to keep it between us and our immediate family this time around, because I knew my chances of another miscarriage were high. My doctors monitored me closely this time around, and at nine weeks I "graduated" from the infertility center I had been going to and started seeing my regular OBGYN. I started to relax a little bit more, and it began to seem real and that this might actually be the one! Our miracle baby. At 10 weeks I started meeting with a genetic counselor, who advised me to do a cell-free DNA test called MaterniT Genome, where they are able to look at the baby's DNA by taking a sample of my blood. At 11 weeks I got the news that the test results came back abnormal. The results showed a partial duplication of chromosome 15. This made sense because of my balanced translocation (read about what balanced translocation is here if you're interested - I found out I have it after my last miscarriage). I was told I would probably miscarry again in the coming weeks. We were devastated and honestly couldn't believe it. A couple of weeks went by and no miscarriage yet! We decided we would do a CVS test on the baby, which is a more invasive test, to confirm the results and get more information. When we went in for the test, the maternal fetal medicine doctor looked at the baby, and pretty much talked us out of doing it. She said the baby looks great, and that's all we know for sure right now. She said that the cell-free DNA test I did is such a new test and there isn't very much information on it, and no data validating the laboratory that performed the test. She basically told us the test could have been wrong and given us a false positive! We left that appointment confused and I honestly didn't know what to think. I didn't want to give myself any hope. I felt like I needed to protect my heart. Since then we've taken things week by week, and have just tried to trust in the Lord and have peace, knowing this is out of our hands. We found out we're having a boy, and so far nothing abnormal has shown on an ultrasound. We know this baby could be born with abnormalities, and that there's even still a chance I could miscarry, but we also know we'll love him, and no matter what, he's still our little baby sent from heaven. THANK YOU from the bottom of my heart to those who have been keeping my husband and I in your thoughts and prayers since my last update. The love and support we've felt from our family and friends has really helped us stay positive throughout this journey. Paige & Sidney here! Today we’re sharing something pretty personal and extremely dear to our hearts. Our third sister, Regan, has been struggling with infertility over the past 2+ years. We wanted her to share her and her husband’s story as they take the next big step towards hopefully starting their family. They found out recently that doing in-vitro fertilization (IVF) is going to be their best chance of being able to get pregnant and have a baby. We thought it would be a good idea to publicly share their story to not only create awareness, but also to ask for prayers and positive energy as they start this process. It’s huge step that will be physically, emotionally and financially taxing on Regan and her husband. In fact, IVF alone usually costs anywhere from $15-$20,000, and their insurance will not cover any of those costs. They are determined to find a way to make it happen, and will be saving money over the next several months before starting treatments. Some of you may not realize that Salty Blondes is a labor of love, but also is a business for us! We make commission on purchases made through the links we post on our blog and through LIKEtoKNOW.it. Instead of dividing up the little bit of commission we make each month between the 3 of us like we usually would, we will put putting 100% of any earnings we make towards Regan and her husband’s IVF treatments. We wanted to make all of our friends, family, and you amazing followers aware, and let you all know how our blog works! This can be an easy way for anyone who wants to help Regan and Daniel to contribute, just by doing any online shopping you normally would. Any commission made will be put directly towards their infertility treatments. We keep a list of links to our favorite online stores on the right sidebar of our blog. There are hundreds of other shops we can make a commission on as well. Any time you go to shop online, just pop over to our blog first, click the link for the website you're shopping at, then add things to your cart and shop as you normally would. Amazon and Target are even on there, so staple items you regularly buy can even be purchased through our blog. If you don't see a store you would like to shop at on our blog sidebar, let us know and we can either add it or send you a direct link. THANK YOU to anyone reading this from the bottom of our hearts for your support over the next few months. Their goal is to be able to start the IVF cycle in August/September. 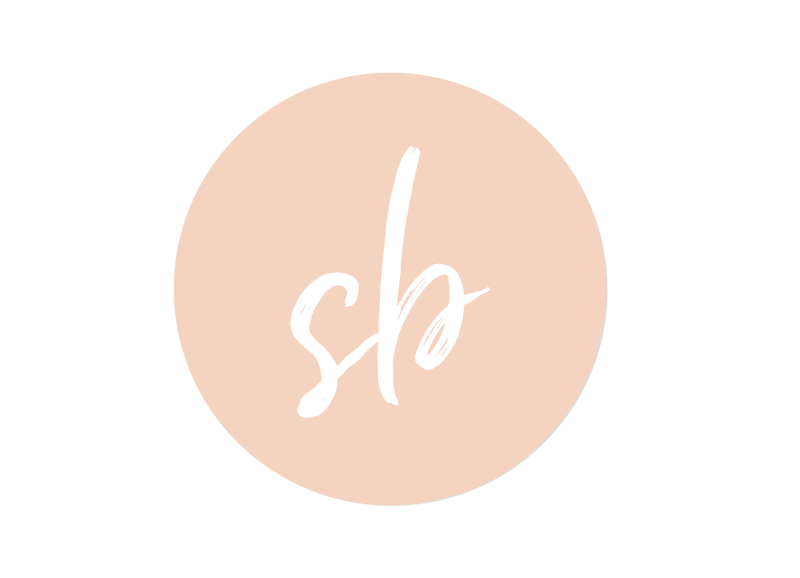 This blog has been such a fun thing for us sisters to be able to do together, and we hope it can also be used as a tool to do good, help others, and #sharethegoodness. Most of you probably don’t know that my husband, Daniel, and I have been trying to have a baby for quite some time now. We got married four and a half years ago and everyday since I have dreamt of becoming a mommy and have imagined what our children would be like. We decided we would wait to start having babies so that we could experience marriage for a couple of years, and so that I could get a degree since I was going to school at the time. I patiently waited, and have loved every minute of our married life. We have been able to do so many fun things together, and experience things we may not have been able to do had we started having babies right away. In December of 2013, we decided to finally start trying, as I could see the college graduation light at the end of the tunnel that next April. In May of 2014 I got my first positive pregnancy test. Daniel and I were overjoyed! Then about a week later, I got my period. This was a very early on miscarriage, and I may have never even known I was pregnant, had I not taken those four pregnancy tests. We didn’t tell anyone, and still have hardly told anyone about this pregnancy to this day. My doctor told me it’s called a “chemical pregnancy” when your body registers you’re pregnant but nothing really ever starts developing. We were not too discouraged, because we knew this was really common. We kept trying, and trying and trying, until a year had passed since we first started. Finally I was able to get pregnant again in March of 2015. We were so excited and nervous and prayed so hard that everything would go well with this pregnancy. I had my first ultrasound at 8 weeks, and got to hear the sweetest little heartbeat I’ve ever heard. Everything was measuring perfectly at 8 weeks. At about 10 weeks we started telling most of our close friends and family. We were so excited and it was fun to share the excitement with the people closest to us. Paige also found out she was pregnant about 5 weeks after me (with sweet little MJ). So we got share the excitement together and were so excited to be pregnant at the same time. Then I went in for my 12 week appointment and got the news I wish no women ever had to get. There was no heartbeat. Our baby had stopped growing. This miscarriage was honestly the hardest thing I had ever dealt with up to that point, and something you can only understand if you’ve gone through it yourself. I was devastated for months, and partly because I was continuing to be reminded of what I’d gone through due to some complications that came after. After my D&C (surgery to remove all of the tissue from the miscarriage), I was continuing to bleed for a couple months later. My doctor kept telling me this can be normal, until finally she referred me to a fertility center so that I could get a water ultrasound to see what’s going on in there. That’s where I was introduced to my doctor now. The doctor said there was still some tissue in there and that he needed to go in to do a hysteroscopy to remove it. Which meant another surgery. There was some good that came from all of this though! I was able to meet my doctor, the infertility specialist I am seeing now, and he has actually been highly recommended by a lot of people we know who have also had infertility struggles. He was able to help me get pregnant again in December 2015. I took a low dosage of clomid to help me ovulate this time. I found out a week before Christmas. My family had been praying and fasting for Daniel and I to be able to get pregnant and I wanted to surprise them all on Christmas morning. So after we had all opened presents, I gave Daniel one last present to open. Everyone watched (no one knew except for me) as he opened it, and there was my positive pregnancy test. We all cried and the excitement set in again. The fertility center I was going to wanted to monitor me very closely this pregnancy, and right off the bat we knew there could be a possibility of another miscarriage, because my hCG levels were not rising as much as they should have been. At 6.5 weeks they did an ultrasound and were able to find a sac, but not as much development as there should have been at that point. I waited another week just in case I maybe wasn’t as far along as we thought, then went in for a second ultrasound. There still had not been anymore development. I had miscarried again. have to be grateful of. And that is what has kept me going with a smile on my face. I never want to let my trials keep me from being happy. I want them to build me up and make me stronger and want to turn to God and serve others and be more grateful and recognize the blessings in my life. We know there is a reason God has put this trial into our lives, and we are determined to hold on to our faith and make it through. The support of family and friends has been unimaginable and we are so grateful for that. After my last miscarriage I opened up about the struggles we’ve been having on social media, and every single response from our friends and family brought me to tears and helped ease the burden. After my last miscarriage they were able to do some genetic testing on the tissue removed during my D&C surgery. The doctors finally had some answers for us as to why I kept having miscarriages. After doing some testing on me, they were able to determine that I have something called Balanced Chromosome Translocation. My doctor told us that I have a 50% chance of miscarrying each time I get pregnant, depending on which chromosomes the embryo takes from me, and with that there's also a chance that even if I don't miscarry, our baby could continue to develop and end up having major birth defects. My doctor gave us the option to do in-vitro fertilization so that we can do PGS (preimplantation genetic screening) on the embryo before transferring it back in to me. With this, we'd be able to determine and be sure the baby will continue to grow and develop normally. Of course there is always a chance it won't work, but the success rates of IVF are pretty high, and they go up even more with doing the PGS. Daniel and I have given this a lot of thought and prayer as we have been deciding what we should do. It's been hard on us both and something we never imagined we'd have to go through. We have weighed all of our options heavily, and both feel confident that trying IVF is the best next step for us. The cost of IVF with the special genetic testing we'll need to do is very expensive (we recently went over the numbers and it looks like it will be over $25k!). Unfortunately our insurance will not cover any of the costs, but we are determined to find a way to make it possible so that we can hopefully start our family that we have been dreaming of for so long. This blog has been such a great creative outlet for my sisters and I. It's been something we've enjoyed doing so much together over the last year and some months. My sisters have been so sweet and have decided that instead of splitting the (small) amount of money we make each month three ways, they want to put 100% of it towards mine and Daniel's infertility treatments. We can't express how much it means to us to have the support of our wonderful friends and family, and this was such a sweet gesture that my sisters came up with. It feels good to be open about our journey. We know how powerful prayer can be, and appreciate so much the prayers and love that have been sent our way from family and friends. We feel the love and recognize God’s hand in our lives.